Kinga Rajzak is with IMG (NY) & Exit (Bratislava). PONY RYDER: I wonder Kinga, now that you are a huge name in the industry, do you get different treatment? KINGA RAJZAK: Oh no there is no different treatment. I would be very embarrassed if there was. I like to be treated equally. PONY RYDER: And do you get booked directly or you have to do castings as well? KINGA RAJZAK: Apart from the show castings, I do not have ‘go sees’ any more. I am very happy about being able to be free. On the other hand, in the past I did my bit of running around. PONY RYDER: Model apartments! Can you at least know who your roommates will be? KINGA RAJZAK: Haha the question struck me! Model apartments are dark places with lots of new girls who are really newbies and have no idea what is going on. There is always a general tension in the air, the rooms are not the cleanest either. Well maybe I am too fussy and like things to be in order...I never ever stay in model apartments! PONY RYDER: What do you do when you are not modeling? KINGA RAJZAK: Books,books,books,music-classical,drum&base,drum&bass,break beat,electronic,rock&roll,oldies,theater,opera and friends, house parties and philosophical discussions! This is what I do in my free time and generally all the time! PONY RYDER: Do you go to college? 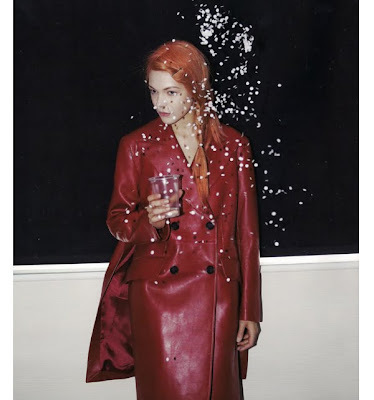 KINGA RAJZAK: I am a student at Goldsmiths College, University of London and I am absolutely into it. It was probably the best choice I made after all those years of modeling. Honestly, my brain was drained and I was losing interest in everything. It was horrible...now I have enough intellectual work to do into what I can invest all my surplus energies. I am studying what I always wanted - sociology and politics. Extremely interesting! 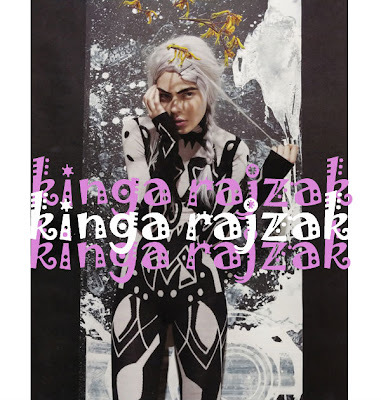 Interview with Kinga Rjzak is original work by Pony Ryder blog.